by Leah Komaiko What if after all is written, designed, said and done –your customers choose you (or not) because of one simple word? When I went to my neighborhood café a box of water said “hello” to me. And I was not on any funny stuff. Like everybody else in California, I was just looking for some water. But they didn't have a bottle. Only water in a box. I had never heard of such a thing. But the box was surprisingly easy to hold and drink from and somehow I felt younger. It was like being back in grammar school sipping from my milk container only this one was more than five cents and uber cool. 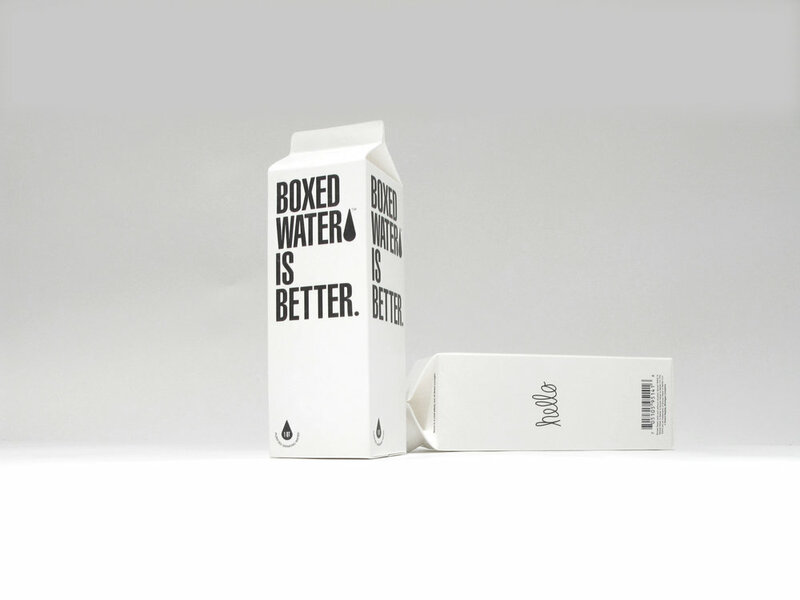 It had simple black and white letters with these words only BOXED WATER IS BETTER. Talk about standing for something! This box was talking to me. Me! Just one person working alone in a crowded café and being surprised by a company that remembered I was a real person. I appreciated that. And nothing else after mattered. I bought three more boxes on my way out. Which is to say human understanding and kindness is as necessary for survival as water. Branding and marketing at its best and most effective is about so much more than the survival of your business. It’s about the connection, concerns, and considerations of each other. I do have the secret word or formula that will work every time for you. There is no secret. Authenticity is not a strategy. It’s the organic outcome of knowing and rising up to the story only you are here to tell. And as simple as that might sound, it’s the hardest thing for most businesses to get to.